X's and O's. Special kisses to you. 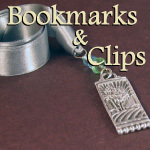 Send your loved one off for the day with this remarkable bookmark... just to make their day a little brighter. 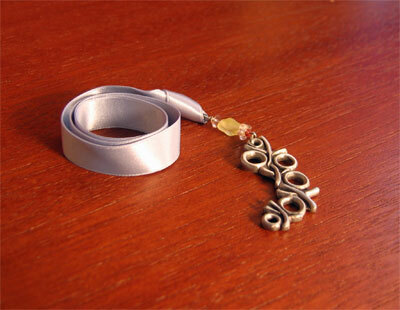 The X's and O's are connected to glass beads and a fine satin ribbon. The bookmark comes gift boxed. This is the work of Cynthia Webb, a San Diego, CA artist who specializes in handcrafted fine pewter ornaments, framed plaques and gifts. Her work is known for its fine detail, which is evident on both the front and back of her pieces.